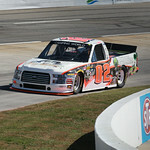 The Bar Harbor 200 marked the 6th race of the 2017 NASCAR Camping World Truck season and fourth race for Austin Hill. 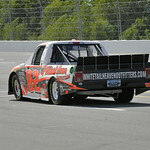 Hill started 19th and was racing near the top-15 before being taken out by another competitor’s spin. This was Hill’s second career NCWTS start at the Dover, Del. facility. 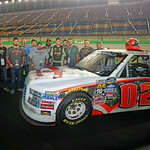 Johnny Sauter earned the victory and was followed to the finish line by Kaz Grala, Grant Enfinger, Ben Rhodes and Austin Cindric. 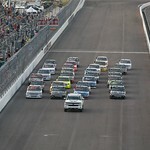 Hill’s next scheduled event is at Gateway Motorsports Park on Saturday, June 17th. The race will broadcast live on FoxSports1. Austin Hill and the No. 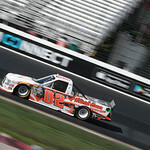 02 JRS Competition Finishes Ford F150 overcame a broken transmission in the weekend’s first practice session, en route to posting the ninth fastest time in final practice. 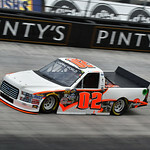 After fighting an extremely tight truck in qualifying due to the drastic change in track temperature, Hill started the 200-lap event in the 19th position. Quickly making work of the trucks in front of him, Hill was battling around the top-15 when another truck spun directly in front of the No. 02 JRS Competition Finishes Ford, making direct contact and knocking the radiator out of the truck. Hill would be credited with a 27th place finish.